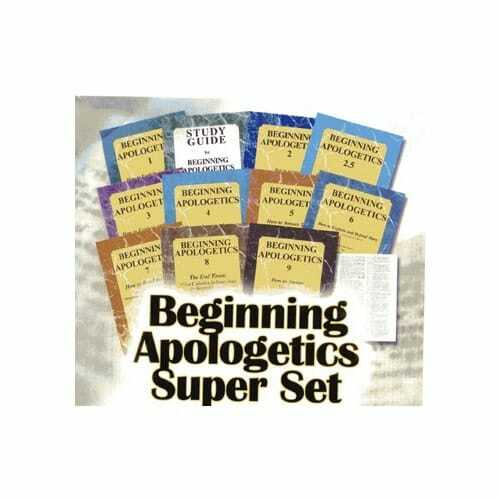 A shrink-wrapped, attractively packaged collection of all our "Beginning Apologetics" Booklets (1-9) plus the Catholic Verse-Finder ("Bible Cheat Sheet") and study guide for Beginning Apologetics 1. These books are an excellent way to bone up on Catholicism. Easy reads and jam packed full of essential information. Get your highlighters ready!